Yue Fei and Liu Ge try to fight their way out of the Jin camp. Outside, Song soldiers shoot flaming arrows into the camp, distracting Jin. Yue Fei fights some Jin wrestlers while he flashes back to his teacher teaching him martial arts. 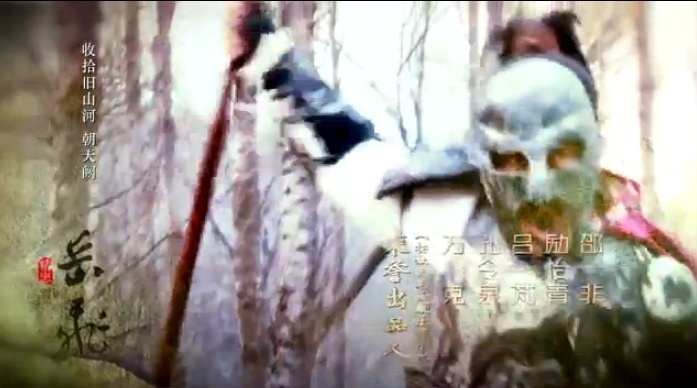 Liu Ge is shot while he and Yue Fei try to escape on horseback. Yue Fei piggybacks the general to the top of a mountain, where a monk healer lives (they don’t ride the horse because…?). 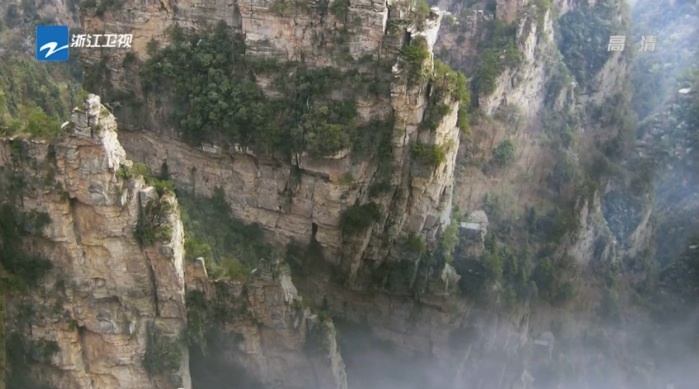 Sweating bullets, Yue Fei staggers up the mountain. Wanting Yue Fei to run before the Jin soldiers catch up, Liu Ge throws himself off the side of the mountain. Now that I think about it, there was some SUPER heavy foreshadowing in the last episode. 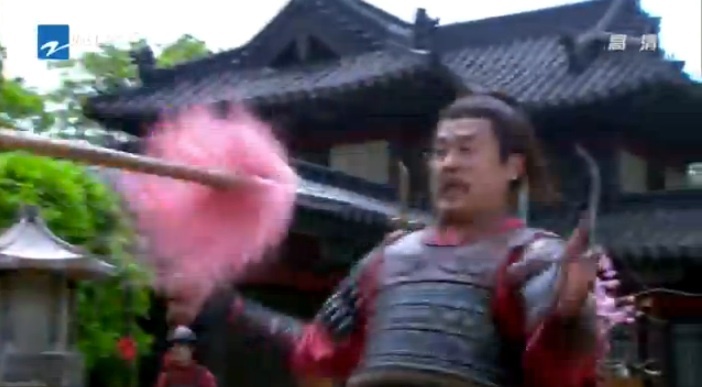 Yue Fei punches off some Jin soldiers to ease his grief. 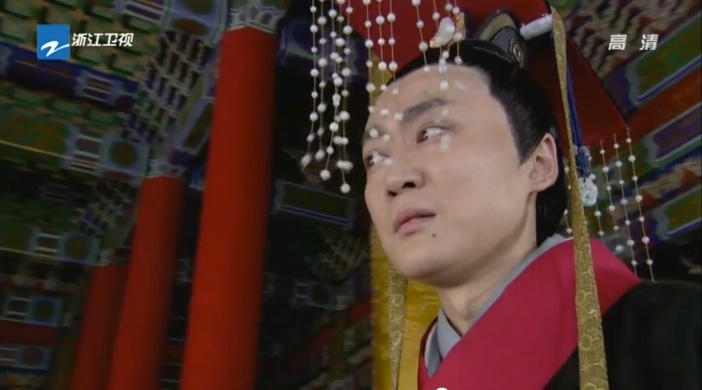 1st Jin Prince beats up his subordinate for messing up the meeting with Liu Ge. Meanwhile, the Emperor sighs that he’s too weak to govern, which leads Prime Minister Cai to suggest abdicating the throne in favor of the Crown Prince. The Emperor agrees. But what do you know, the Crown Prince is too scared to become Emperor and pretends he’s ill. At least he’s smart enough to know that the throne is no awesome position to be in right now. The Emperor suspects the Crown Prince’s tricks, so personally pays his child a visit. On a completely irrelevant note, I’m loving the costumes in this drama right now. Trapped, the Crown Prince ascends the throne a few days later. As the peasants suspect that the Emperor plans to flee the capital, General Zong Ze rides up to put their fears to rest. 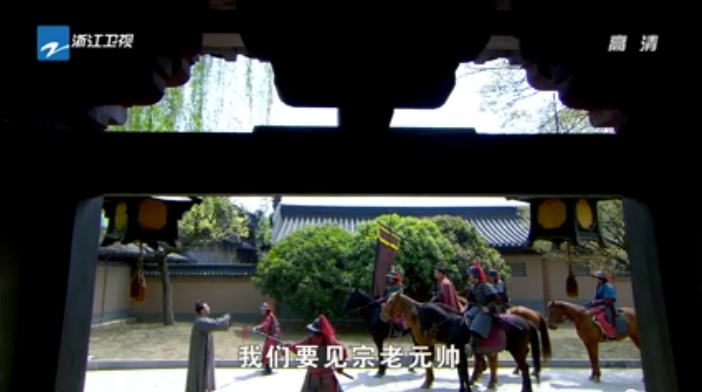 He heads into the palace to meet with the 9th Song prince, who is now King of Kang (brother to the Emperor). Turns out, Prime Minister Li is in the same political faction. 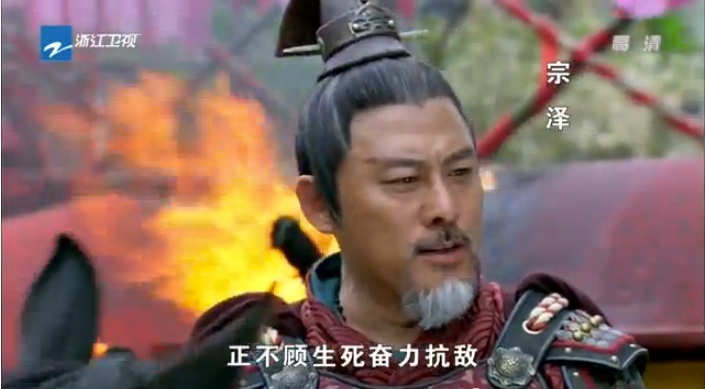 But he and General Zong have different views on how the capital should be protected. General Zong comes up with the bright idea to have a martial arts competition in order to gather the best and strongest warriors of the country. Zhang Yong, the masked bandit from before, is masquerading as a fortune teller. He sees Wang Gui, and the two have a nice brotherly reunion. The bros head towards the martial arts competition. They’re turned out by the guard, because they want an entrance fee? Zhang Yong offers to pay the price, betting that Yue Fei will win and take care of his bros once he becomes an important general. 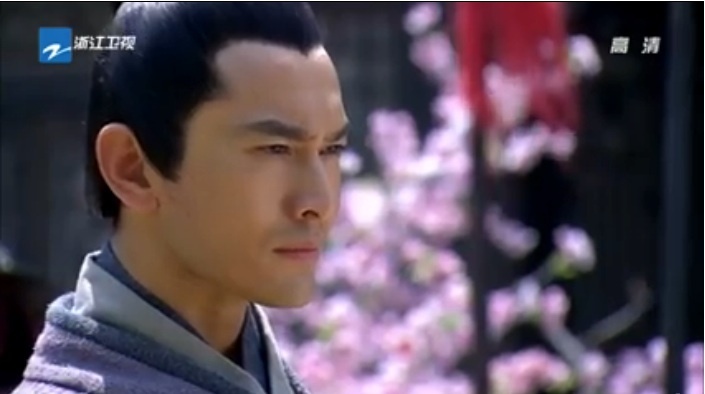 Yue Fei just glares at him. While the bro squad comes across General Zong’s entourage, they hurry to find the old General. However, the one in charge is General Zong’s nephew, who indignantly brings the bros to General Zong to protest the corrupt guard. The guard declares his innocence, and the two decide to duel it out. Do you even need me to tell you how it turns out? I’m loving the epic music. So far, so good. 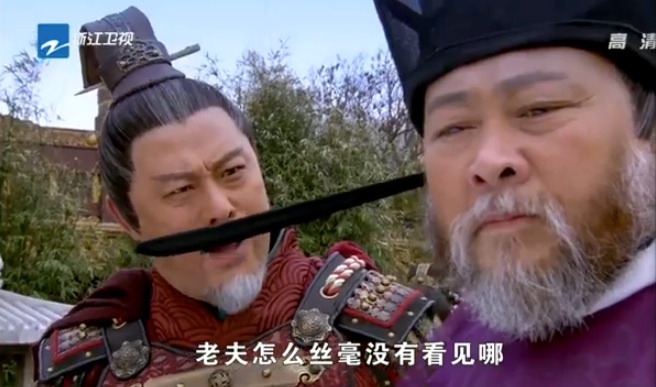 I’m surprised that Liu Ge died so early in the series, and I really think that his death didn’t do anything, except to push Yue Fei to serve under General Zong. I’m guessing Yue Fei will move from general to general until he gets promoted and leads an army. Love how he’s picking up more people for his bro squad. Can’t wait until he bonds with Han Shi Zhong! 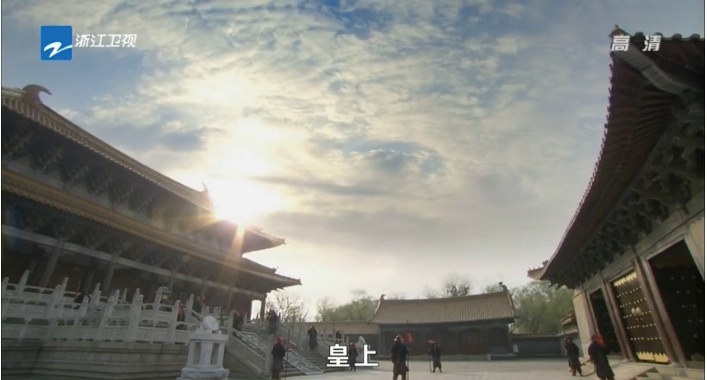 This entry was posted in Chinese Dramas, Drama Recaps/Reviews, History and tagged 精忠岳飞, Episode 6, Huang Xiao Ming, Jing Zhong Yue Fei, Patriot Yue Fei, Recap. Bookmark the permalink.